A woman has been arrested on suspicion of murder after man's body was found at a house. 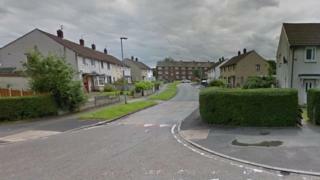 Police officers were called to a property in Maismore Road, Wythenshawe, Manchester at 13:15 BST. Formal identification and a post-mortem examination are due to take place, said police. Officers said a 46-year-old woman has been arrested on suspicion of murder and was taken to hospital for treatment. Det Ch Insp Lewis Hughes of Greater Manchester Police urged anyone who has been in Maismore Road over the last few days, and who may have witnessed a disturbance, to contact the force.